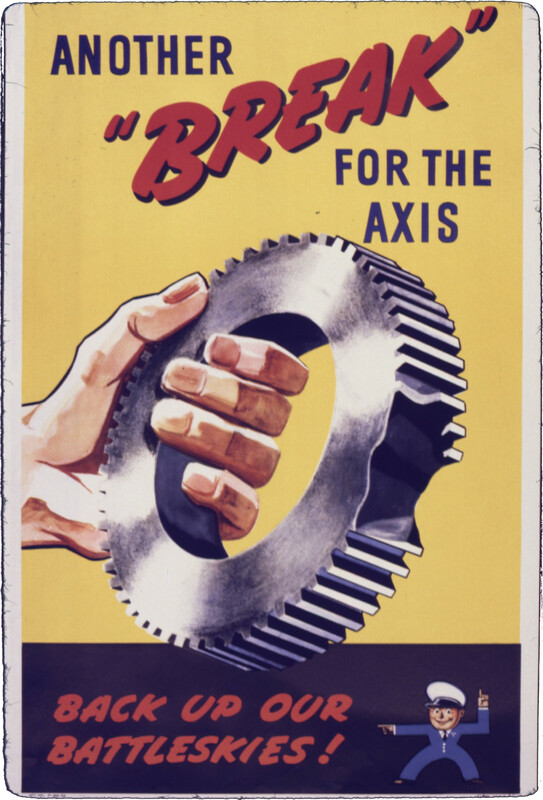 WW II USA Poster "Another Break for the Axis" by the Office for Emergency Management. War Production Board 1942 or 1943. File:Another "break" for the Axis. Back up our battleskies^ - NARA - 535056.jpg by the Office for Emergency Management. War Production Board in public domain.